Our Easter Active Kids Camps kick off on Monday 15th with a choice of 'Sports Mad' and 'Dance Camps' to choose from. Our extensive range of classes are available 7 days a week including the latest from Les Mills! Join today and get one month free plus no joining fee. Our new gym offers the latest in comfort & technology with state of the art lighting, audio and visual. Our Family Membership (2 Adults, 2 Children) includes access to our gyms and all junior and adult classes! There are a number of Party Packages available to fit your needs from Sport Packages to the Zorb Football UItimate Package. We are happy to announce an extended timetable for the Easter holidays. From Tuesday 16th there will be more Sprint, more BodyPump and more classes during the day at Llandarcy. 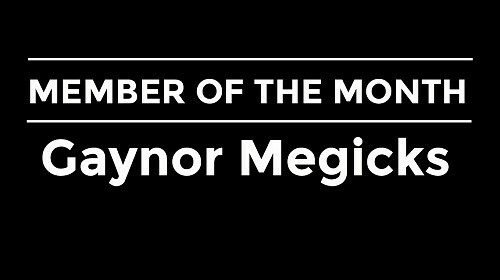 Congratulations to Gaynor Megicks who are happy to announce is our March Member of the month. 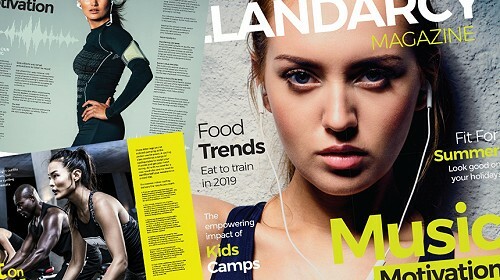 Issue one of our brand new Llandarcy Magazine is available now. Loads of great articles, our latest class timetables and much much more! Discover Why Llandary Is Top Class! over 60 classes including the latest from Les Mills from only £19 per month. More than 60 classes available 7 days a week. Designed for all level and abilities. Our timetable this Summer includes favourites like Yoga and Pilates plus some of the latest and newest cutting edge fitness classes from Les Mills. Much More Than Just A Gym! Llandarcy is the place for health, fitness and wellbeing but that is not all we offer. From kids parties, kids holidays camps, free open weekends to The Pavilion Llandarcy our very own brand new and exciting restaurant and sports bar. New - Swim, Learn, Splash! Put your family's fitness first with our family membership from only £1.25 per day for the whole family. Family Membership includes gym, functional training zone and classes for adults plus all junior activities for the kids.